The 3rd public beta for macOS Mojave is the same as beta 4 released a day before. 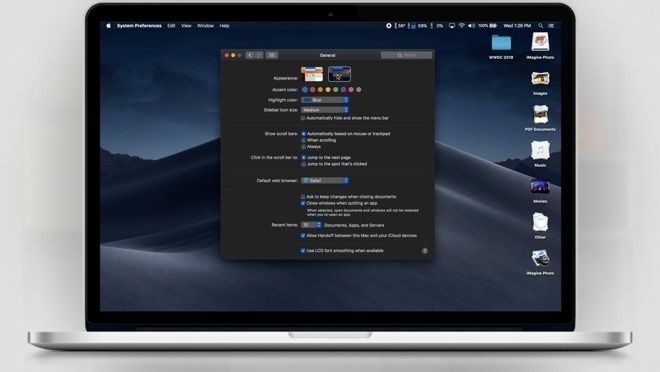 Apple has released the third public beta for macOS Mojave a few days ago, allowing non-developers to try out this software before the official version. The second public version has been rolled out two weeks ago. The third public beta for macOS Mojave is the same as beta 4, which was released a day before. Besides, users of MacBook Pro produced in 2018 can also experience macOS Mojave system now. Developers who have already registered the beta software project can download macOS Mojave beta through the update system of Mac App Store, but the subsequent betas will be installed through the software update icon in System Preferences. So far we haven’t discovered any new features in the third public beta. macOS Mojave will be rolled out as beta version within the next few months, so that Apple will have enough time to check for vulnerabilities and fix them before the event in Autumn.